Low margins in air freight leave little cash for investment and innovation, cause pressure on wages and jobs and sooner or later lead to a loss of product quality. This is, in short, the circulus vitiosus in air freight, mourned by many but not really being tackled collectively. Below we present the view of a ground handling agent. These days the cargo industry is celebrating itself. Happy faces wherever one looks. Understandable, because 2017 proved to be an exceptional good year for carriers and most cargo actors. Markets were burgeoning, a partial shift from ocean to air took place, pushing sales and revenues upwards. However, one grubby child feels left behind - the ground handlers. They complain repeatedly about insufficient earnings – rightly, as closer looks show. It was none other than the honorable Bill Boesch, “one of the greatest of all the big-time global air cargo executives our industry has ever produced” (TIACA), who raised his voice at an IATA WCA workshop some years ago, accusing an attendee of being a communist in disguise. The reason for Bill’s verbal onslaught was a statement delivered by a leading European air freight executive who had simply argued that the remuneration for the many services provided by ground handling agents to their airline customers is too little to hire well-qualified staff. The bitter consequences which he derived from the described situation: without appropriately trained and educated people the handling quality tends to decline continuously. Was this a remark of a typical ‘commi,’ whose heart beats for the deplorables, that shouldn’t be taken seriously? Not really, because what Boesch vigorously opposed is bare fact, seen every day in ground handlers’ warehouses at many airports. No pay, no quality in air freight, it’s as simple as that. Integrators are rubbing their hands with glee! Take Dusseldorf airport as an example of many. 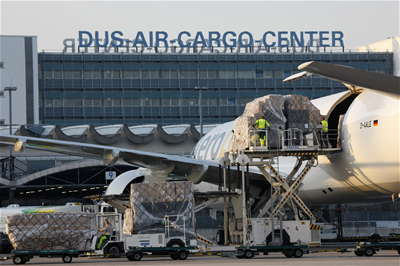 “For quite some years we were accused by carriers and forwarding agents that our handling rates were much too high,” says DUS Cargo Chief Gerton Hulsman. Too high? When considering the repeated staff training programs, investments in the infrastructure and equipment, expenditures for safety and security courses, “we are underpaid to this very day,” claims Gerton. Instead, in practice he and his team mates feel like a lemon that’s constantly squeezed out by the procurement departments of airlines, whose only aim is to reduce costs. As of next April, DUS Cargo will operate two Cool Dollies to safeguard the transfer of temp critical goods from their warehouse to the aircraft and vice versa. Sophisticated equipment, entirely financed by the freight arm of Dusseldorf Airport. 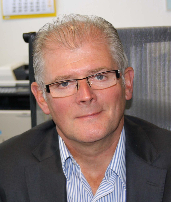 Since mid-2017 Mr. Hulsman is a board member of the Cool Chain Association (CCA). In this specific position the manager can contribute to further close the existing gap within the transport chain of temperature sensitive items between freight terminals and aircraft. In December, DUS Cargo welcomed AirBridgeCargo as new client, linking the German airport with Moscow Sheremetyevo. The Russian carrier operates Boeing 747-400 freighters and their larger variant B747-8F on this route. It’s good news but higher payments by airlines to their handlers, this way honoring their many services, would be an even better message surely welcomed by Gerton and his peers.